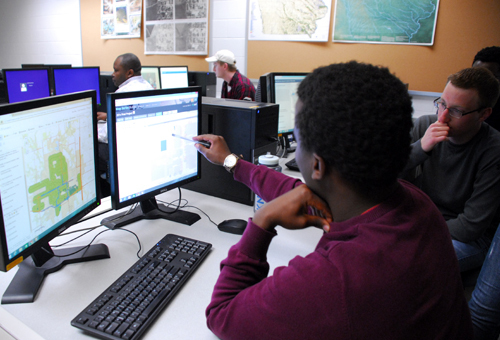 The Department of Community and Regional Planning (CRP) offers a multidisciplinary graduate certificate in Geographic Information Systems (GIS). The GIS Certificate Program is open to graduate students in all disciplines of the university. Students must complete a minimum of 13 graduate credits of GIS coursework to receive the certificate. In addition, students must maintain a grade-point average of B or higher in these courses.